With the decline of the organic reach, companies can no longer broadcast content on platforms like Facebook hoping the universe captures it. They must promote it through paid publications to reach their target audiences. By definition, social media connects people. The best corporate ambassadors are often the people who belong to them. Brands must seize this opportunity and encourage employees to become their faces on the web and proudly share their content. To create content that attracts a good engagement rate, you need to be ready to listen, watch, and then adjust. Flooding people with blog posts, videos or photos is not enough to create an active community. By ensuring an effective analysis of the performance of its publications, we can then adapt to what works best with our audience and therefore, what interests our customers most. For us, this is a wonderful playground. It’s very stimulating to identify and describe the customer/consumer personas, as well as to map out their decision-making paths. 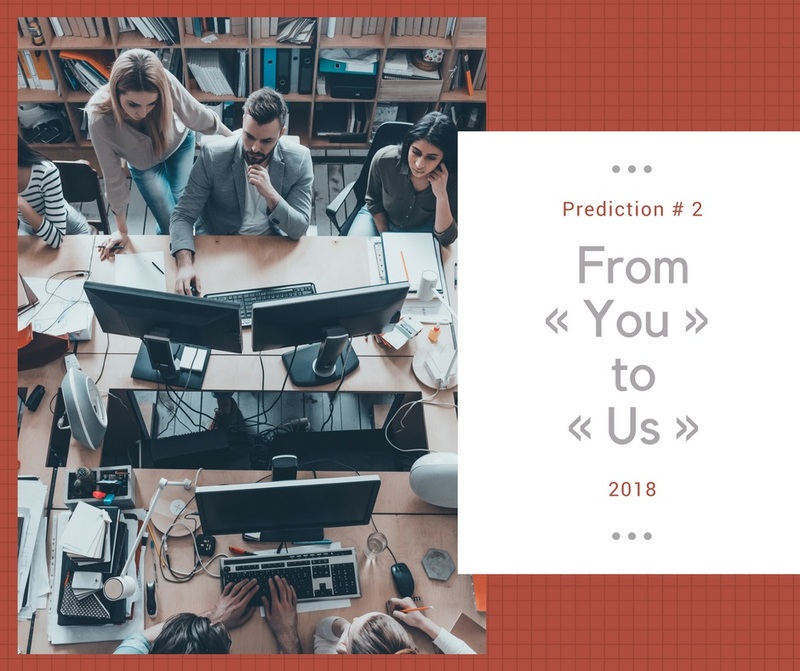 In 2018, we predict that companies and brands will further develop their own content, but will increase the number of distribution channels and appeal more to their employees or ambassadors to do so. They will have to agree to operate in an exploratory mode and listen to their customers and consumers to offer value-added content and thus build lasting relationships.